Nowhere will you find a more comprehensive, current, and detailed writing skills course designed specifically for writing children and teen books, written by a children's and young adult author who is in the field today. 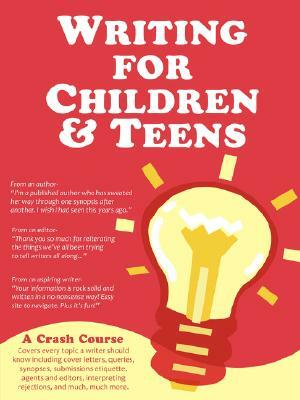 WRITING FOR CHILDREN AND TEENS: A CRASH COURSE is a ten-step course that relays all the nitty-gritty details of the business, beginning with how to evaluate your book idea all the way to pitching your book to editors and agents. Within each step, you'll find clear and specific information covering topics such as the children's book market, manuscript format, commonly made mistakes and editing tips to beef up your writing skills, finding the right literary agent or children's book publisher, and professional submission etiquette. This book will even tell you what kind of paper you should use and exactly how you should write your email or letter pitches to editors and agents. Bonus materials include templates for all of your submission needs as well as examples of real-life editorial letters sent to authors from editors today. You will get a complete inside peak to the children's and YA fiction writing market for those who want to write picture books, easy readers, chapter books, and middle grade or young adult/teen novels.